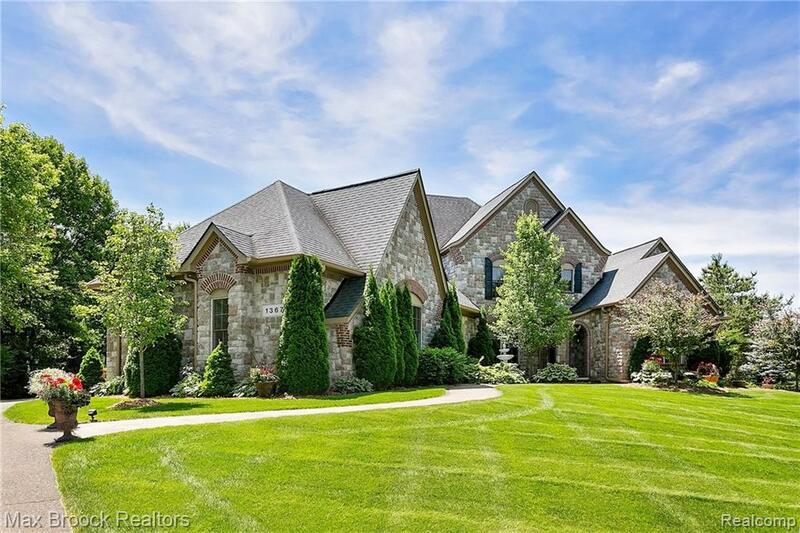 Spectacular custom built estate just minutes from charming Downtown Milford. Exquisite residence features over 4,000 sq. ft. of high-end materials and quality finishes throughout. Custom craftsmanship including arched doorways, crown moldings, stone work and plank wood floors. Living room featuring vaulted tray ceilings, floor-to-ceiling windows, built-ins and fireplace. Gourmet island Chefs kitchen including granite countertops, top of the line stainless steel appliances, custom cabinets and exposed stone. Opens to spacious hearth room. Formal dining room and wine cellar allow for great entertaining. Desirable entry-level master suite with slate bath, jetted tub, steam shower, dual sinks and walk-in closet. Finished lower level featuring full bar, additional kitchen, billiards area, bedroom/full bath. Whole house generator & dual furnaces. Sprawling entertainment spaces flows seamlessly into the outdoors complete with stone patio, inground salt water pool, hot tub & pergola gardens.